The world faces unprecedented challenges including violent conflict, spiraling inequality, environmental degradation and diminishing democratic spaces. In this context, we cannot afford not to harness the energies, talents and capacities of women and men to meet the demands of our era. From women working in the UN, to female leaders in developing and fragile countries, to rural women who are the backbone of the agricultural sector, the need to support and enable women’s equal participation and leadership has never been greater. The United Nations Charter, the Universal Declaration of Human Rights, the Beijing Platform for Action, and most recently the 2030 Agenda set out clear requirements and demands of Member States, the UN, civil society organizations and individuals to step up to these challenges, to achieve women’s rights and gender equality. Antonio Guterres, the new Secretary-General, has a unique opportunity to act as a role model, set the example and be a champion for gender equality and the empowerment of all women and girls. To meet the United Nations’ own commitments, our hope and expectation is that the world’s top diplomat will be a feminist in both words and deeds: an unswerving champion for women’s rights, demonstrating courage and commitment to gender equality, even when that becomes politically uncomfortable. The unprecedented transparency of the selection process has revealed a widely-shared ambition for a reform agenda, with gender equality at its heart. Expectations have been raised and we stand ready to support the Secretary-General in this endeavour. The UN Feminist Network (UNFN) is a group of feminists working in the UN representing more than 20 agencies, departments, funds and programmes, and civil society partners working with the UN. The UNFN is conceived as an informal space for networking and learning to advance the goals of gender equality in the UN system. The UNFN met on 1 September 2016 to define a Feminist Agenda for the new Secretary-General. Other agendas have been developed by feminist civil society groups: ours complements those, and comes directly from feminists working with and for the UN. •	Ensure a minimum of 30% of all UN-managed programming funds are allocated to gender equality and women’s empowerment. •	Be a champion with Member States to advocate for more resources for the UN system gender architecture and programming for gender equality. •	Announce the formation of a Commission on Financing for Gender Equality to include annual reviews of UN budgets/spending, as well as national and sectoral-level spending. 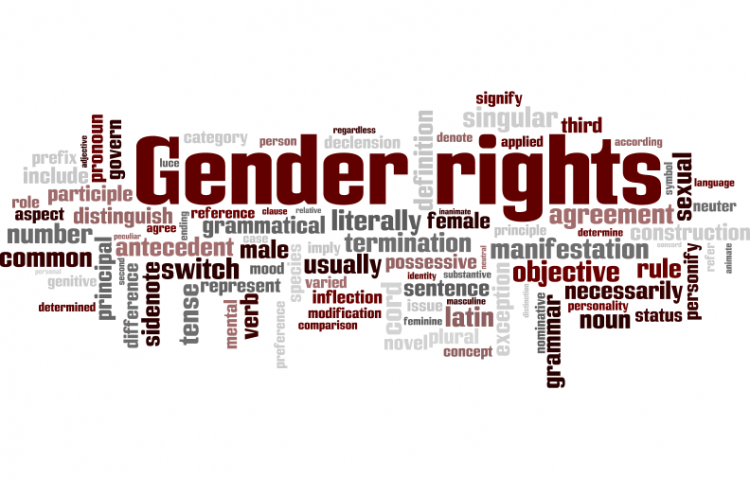 •	Issue a directive to all parts of the UN system to systematize use of the gender marker to improve financial tracking and accountability. •	Hold an annual livestreamed town hall ‘listening’ meeting with women’s civil society organizations to establish priorities and a timeline for addressing priority areas of women’s rights and gender equality such as sexual exploitation and abuse by UN peacekeepers and personnel, sexual and reproductive health and rights, all forms of sexual and gender-based violence, LGBTI rights, growing economic inequality, climate change and planetary integrity, and threats to democracy and women human rights defenders. •	Work with the President of the General Assembly to review and remove obstacles for diverse women’s rights organizations in CSO accreditation processes and participation. •	Commit to establishing gender parity among the SG’s team and across the Secretariat, including in the Senior Management Group, in the members of the Policy Committee, and of the Chief Executives Board for Coordination (CEB). •	Appoint a feminist Deputy Secretary-General with demonstrated commitment to and senior expertise in women’s rights and gender equality. - Developing fast-track management and mentoring programmes for women across the UN system. - Providing pathways for upward mobility for female staff, such as short-term assignments in hardship zones to enable mobility into leadership positions. - Enabling easier transitions between P and D grade positions. •	Collect and publish UN-system wide staffing data disaggregated by level and gender. •	Overhaul UN policies and systems for gender training, to provide continuous opportunities and requirements for all staff regularly to update their knowledge of gender equality issues. - A policy, procedures, and resources to prevent and respond to violence against women in all areas of the UN’s work, including prevention of and remedies for domestic violence committed by or inflicted on staff members. •	Provide support and subsidies for childcare of young children for all staff, including by expanding the scope of the education grant and providing facilities for school-age children during school holidays. •	Review existing entitlements for maternity, paternity, parental, adoption and family leave and bring them up to the level of international best practice. •	Raise awareness of policies on flexible working arrangements, and incentivize managers to promote and enable work-life balance. - Implementation of policies to support working parents and those with caring responsibilities, and policies on domestic violence. The UN Feminist Network would welcome the opportunity to meet with Antonio Guterres to discuss these steps. We are looking forward to an engaged and active feminist Secretary-General and to working together on a detailed roadmap for creating a United Nations system that can live up to its commitments on gender equality and women’s rights. The A Feminist Agenda for the new UN Secretary-General petition to UN Secretary-General was written by Anonymous and is in the category Gender Rights and Issues at GoPetition.